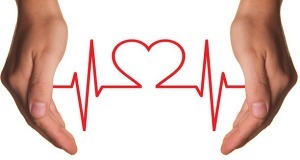 Sleep Apnea And Heart Disease: Killers Together! Alright, maybe the snoring device itself isn’t going to actually kill you, but there are some issues they just can’t solve. Of the various sleep disorders out there, one of the most major ones is sleep apnea: specifically obstructive sleep apnea. This means that while a person sleeps, their airways are being blocked enough that they will actually stop breathing. Many people who suffer with obstructive sleep apnea use a special machine to help them breathe at night. In “Impact of Mandibular Advancement Therapy on Endothelial Function in Severe Obstructive Sleep Apnea,” French researchers report on a randomized controlled trial of 150 patients with severe sleep apnea and no overt cardiovascular disease who received either a mandibular advancement device (MAD) or a sham oral appliance. The researchers found MAD therapy significantly improved the apnea-hypopnea index (AHI) scores, micro-arousal index scores, and symptoms of snoring, fatigue, and sleepiness. However, MAD did not improve endothelial function, a key predictor of cardiovascular disease, or lower blood pressure. Continuous positive airway pressure, or CPAP, is considered the “gold standard” of obstructive sleep apnea treatment. However, many patients find it uncomfortable, and MAD is the most commonly prescribed alternative. Patients in the current study had an AHI > 30. They ranged in age from 18-70, and 86 percent were men. None had signs of cardiovascular disease. Although their AHI scores were indicative of severe sleep apnea, participants reported only mild daytime sleepiness. A strength of the study, which lasted two months, was that compliance with using MAD was high, as verified by researchers using a tiny embedded monitor. It’s a daunting thing to grapple with. Being diagnosed with sleep apnea doesn’t mean your life is over, it just means there are more things you need to consider in order to remain healthy. The important thing to take away from this is that you can’t cut corners. Sleep apnea is a serious disorder with real consequences. 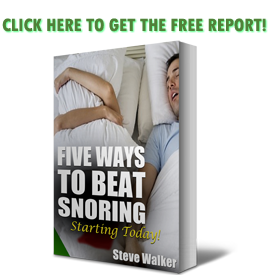 This goes beyond trying to stop snoring because it bothers your partner. When your life is at risk you need to do everything in your power to retain a quality of life and living that you are proud of. You can’t just slap a mouthpiece in and think everything is great. Will it stop the snoring? Sure! That’s what it’s designed to do. But it also has limitations. Your heart isn’t affected by what you wear in your mouth at night. Not enough to keep heart disease at bay. Listen to your doctor and make sure you’re doing what you can to have a happy, healthy sleep.